Product categories of Earth Anchor, we are specialized manufacturers from China, Earth Anchor, Earth Screw Anchors suppliers/factory, wholesale high-quality products of Earth Ground Anchor R & D and manufacturing, we have the perfect after-sales service and technical support. Look forward to your cooperation! 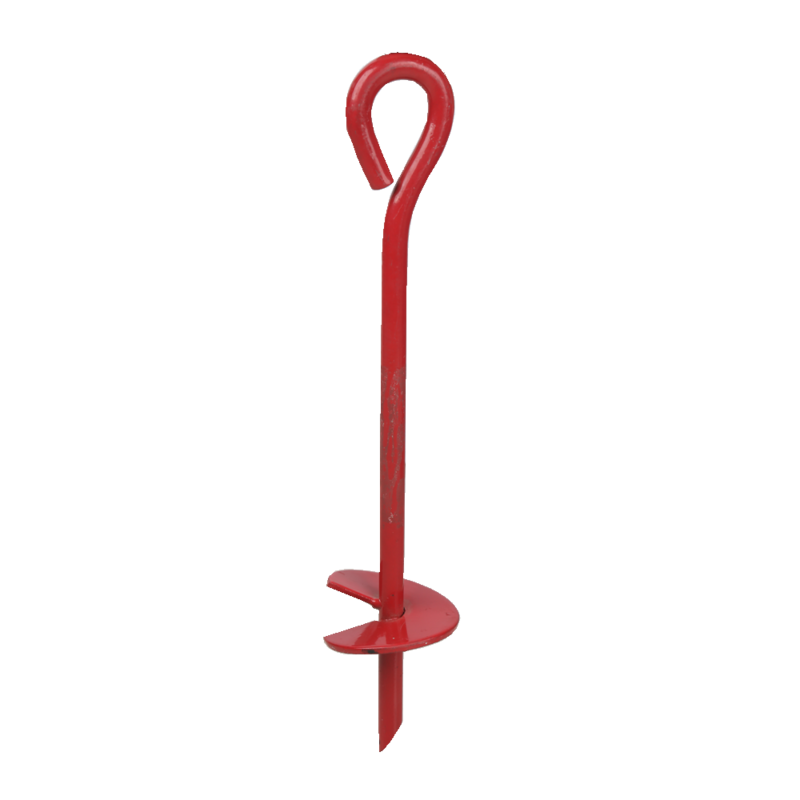 Earth Anchor is one special type of Ground screw, which is widely in farming, fence project and garden decorations or projects. The ground anchor always have one spiral blade on top of earth anchor and the weight is more light than small Ground Screw piles, but it is easy to carry it to our tool-bag. The craft of surface treatment of these anchors has hot-dip galvanized, powder coated, painted and electric galvanized, that`s choose by your needs. As one special anchor of ground anchor, it often is used in fixing the tent or tension the line so that something becoming stable and tight. The hot-sale area is in America, Canada and it can be sold as household items in supermarket.